Katie in Tokyo: Kyoto Photography Club?! 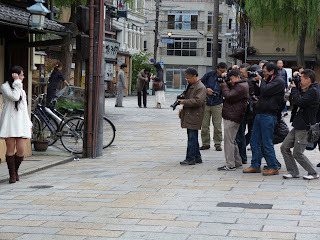 I am a photographer from Indonesia, I want o take pictures in Kyoto and surround. Can you help me to introduce local photographers so we can discuss about photo spots in Kyoto ? Thankyou. / agus.